Charlesworth Parish includes St Johns Ward Charlesworth, parts of the neighbouring village Simmondley and large areas of countryside. The Parish Council strive to make the Parish a better place to live, work and play. Our website includes a wealth of information about how we conduct business and what we do. Use the search or browse the site to find whatever you are looking for. If you can't find the information you require then please contact us. 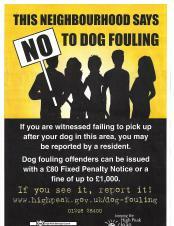 The Parish Council have received reports of an increase in Dog Fouling in the village and surrounding areas, please be vigilant and report any offenders to the High Peak enforcement officer. 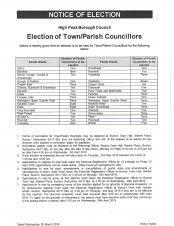 Please contact Debbie Cooper, Chair if you are interested in becoming a Parish Councillor.